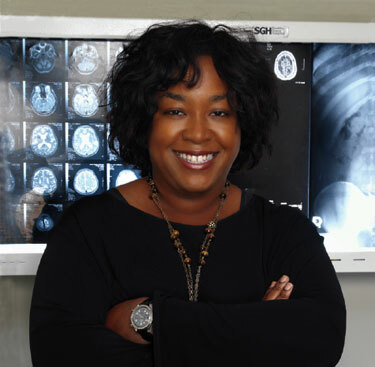 Even Rhimes isn’t sure if she’s the first African-American woman to exec produce a primetime network series. (I’ve subsequently been told that Mara Brock Akil may have been the first with Girlfriends, which has been on UPN since 2000. Not a major network, but it’s a prime-time network series nonetheless.) “But I’m pretty sure about this: we’re the only network drama that has a writing staff that is more than 50% women.” About the writers, Rhimes says she wanted to read their original writing samples as opposed to their spec scripts. “I looked for people who have interesting voices. 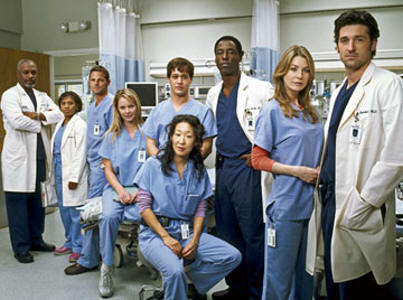 And then, really, it was about hiring people who I found were interesting enough to want to sit in the room with and debate the fate of these 10 characters on our show for a year, at the very least.” Oh, and here’s the best nugget of all: “I did not even realize for the first six months of the entire show that I could fire any of my writers if I didn’t like them. Honestly. I liked them tremendously so it never would have occurred to me. I just thought they were all family and were going to be with us for the duration. But then somebody asked me how everyone was working out. I went, ‘Really? We can fire them?’ It seemed shocking to me.” Ah, if only every boss had an attitude like that.